Apple Crisp Energy Bites – the perfect healthy no-bake snack that tastes like homemade apple pie. With energy-boosting ingredients like quick oats, lemon juice, cinnamon, ginger, almonds and dates, they will give you the steam you need to finish your day strong! If you’re like me, you’re looking for ways to cut calories and add some nutrition to your diet. Whatcha think? Are you in!? Cinnamon stabilizes blood sugar and helps control appetite. Ginger aides in digestion, reduces soreness in muscles, and cuts down on bloated tummies. Then there are the almonds… full of heart-healthy fats, fiber, protein, magnesium, and vitamin E. They also reduce blood pressure, lower cholesterol levels, lessen hunger, and promote weight loss. WOA! Crazy healthy I tell ya! Dates! Date are not only fun to go on, they also taste like candy. They’ve been around since the Garden of Eden and offer many health benefits since they’re full of fiber, potassium, and magnesium. They’re also filled with natural sugars that boost energy. Which makes them the perfect snack when you’re starting to drag mid-day, and the perfect ingredient for our Apple Crisp Energy Bars! 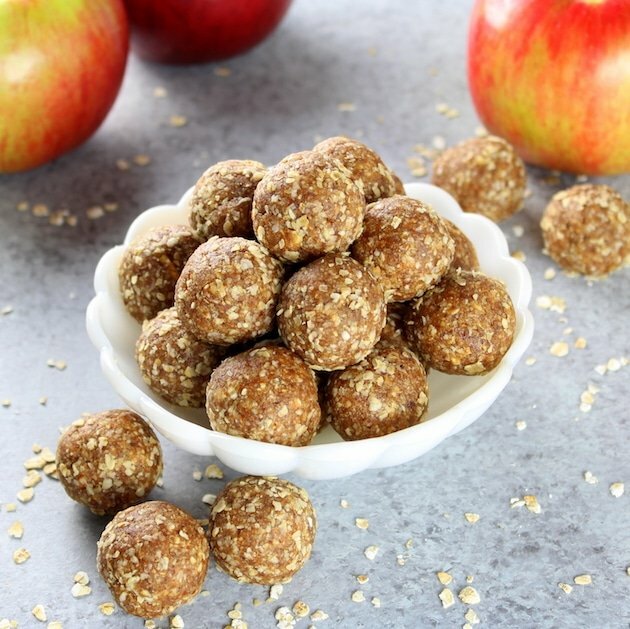 Apple Crisp Energy Bites – the perfect healthy no-bake snack that tastes like homemade apple pie. Blend almonds in food processor for 1 minute or until almonds are well-ground. Add the rest of the ingredients and blend until mixture comes together almost as a dough. Roll out balls in your hand and enjoy. 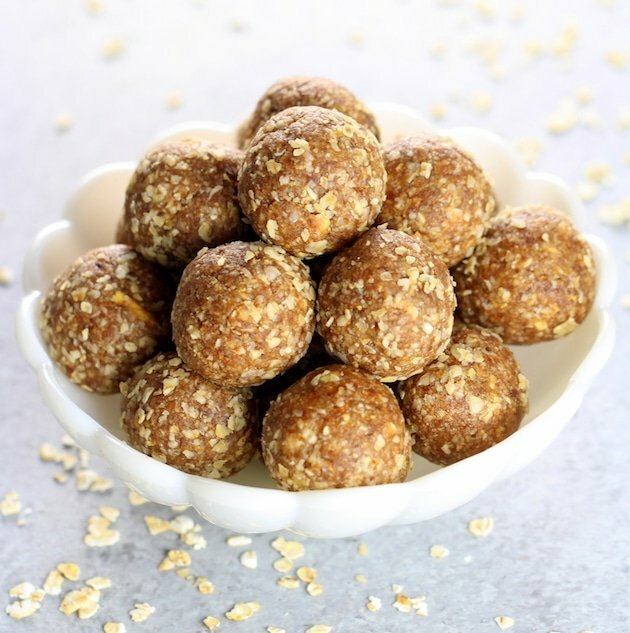 Energy bites stay fresh for a week in an air-tight container in the refrigerator. If the mixture is hard to form the bites add a little water ( 1 tablespoon at a time) to the mixture, until they come together. 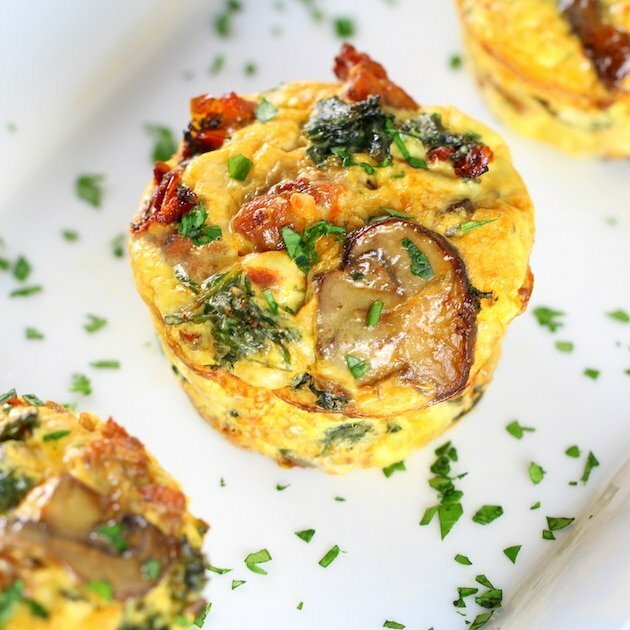 Looking for more nutrient-filled recipes? Thanks Betty! 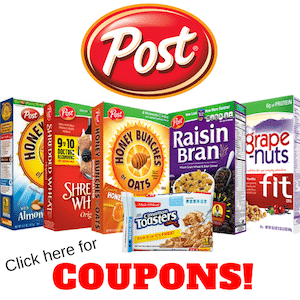 I agree – you can’t beat the combo of oats and dates! Hi, do you use the dried apple slices that are squishy, or the ones that are crispy? I have both, just not sure which ones for this recipe. Thanks! Hi Madonna, I used the squishy ones. The added moisture helps them stay together. Enjoy! Could you add some vanilla protein powder? Sure! They will be much sweeter though. You could leave out some of the dates but you might need a bit more lemon juice to balance it all out. This has all my favorite flavors! Can’t wait to try it! They are really yummy, Carrie! I hope you enjoy them as much as I do! You had me urgently scrolling for the recipe at “warm cinnamon-y apple flavor” – I’m a bit addicted to apples. And cinnamon! These look and sound great! What a perfect midday snack treat! Hi Catherine, they’re great to have on hand so I don’t slip and eat a gallon of ice cream. LOL Thanks so much! 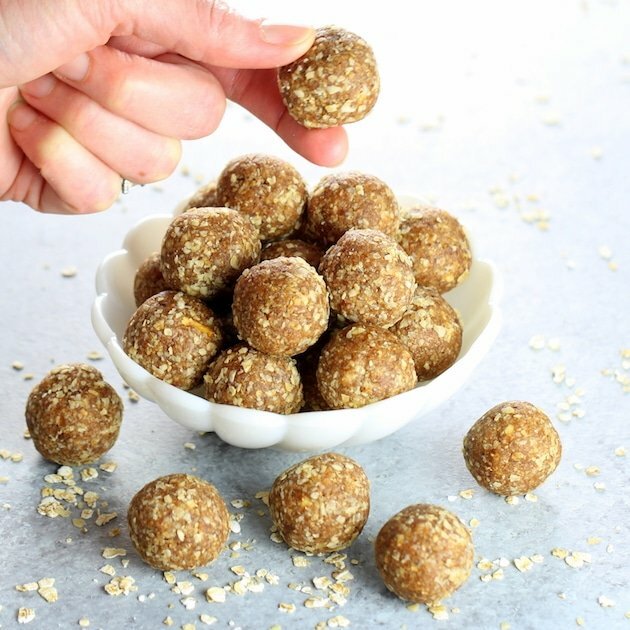 These energy bites look delicious! Definitely a great way to keep those New Year Resolutions strong. I love the combination of the oats with the dates, almond, and cinnamon. Thank you Tara! I truly need all the help I can get with my New Year goals! I figure if I have healthy yummy snacks on hand it will prevent me from seeking out something I shouldn’t eat. Thanks again! You had me at homemade apple pie. 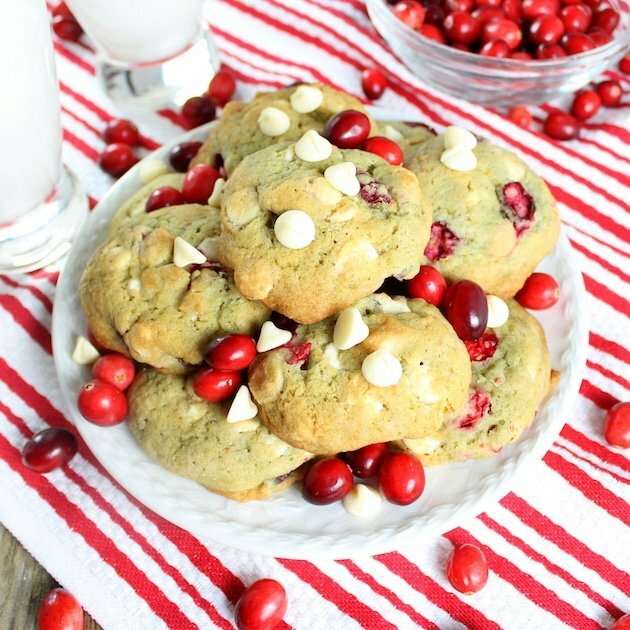 I can’t believe how many healthy ingredients are in this — it looks almost too good to be true! 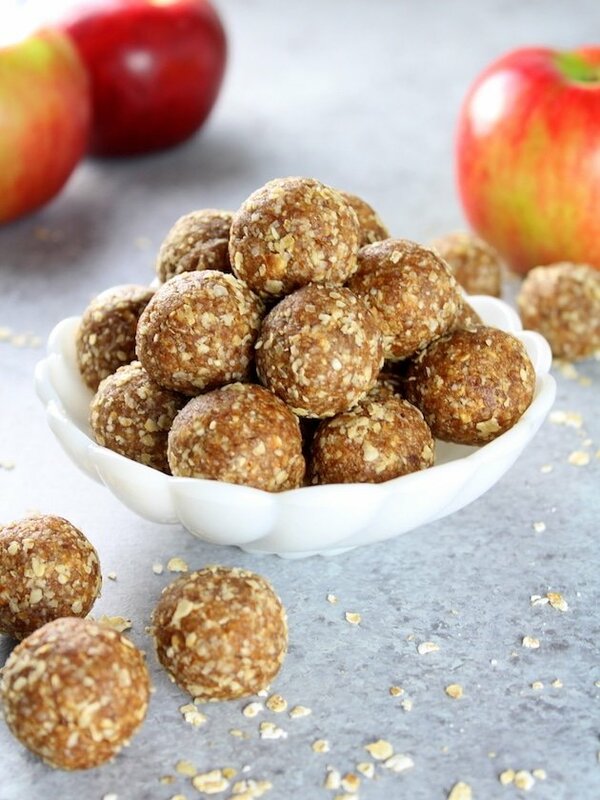 Too often do I reach for chips and/or candy in the office whenever I need something to nosh on; these energy bites will serve as a great alternative! Thanks for sharing! 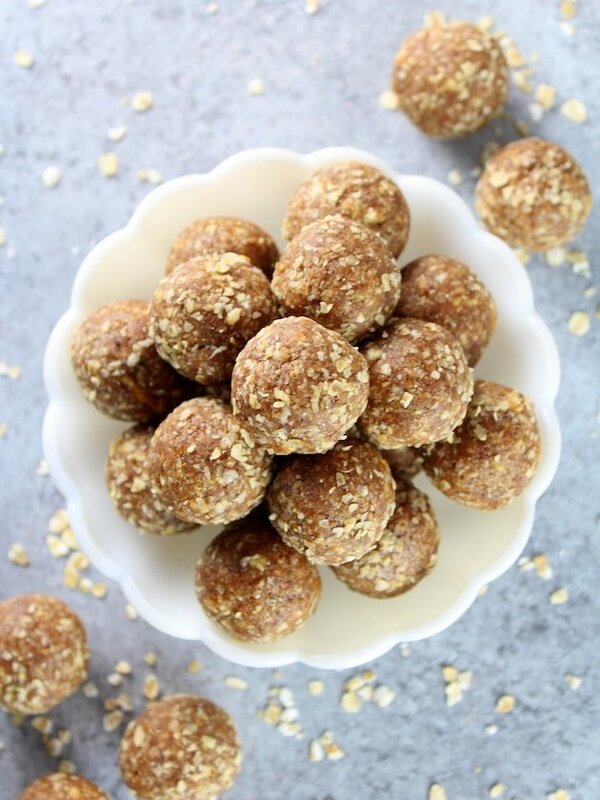 Energy bites like these are one of my go-tos when I’m wanting something sweet but not over-the-top-desserty. I’ve never tried making them with the flavor of an apple crisp — they sound amazing! Thanks for the inspiration! Hi Willow! I love your name and your blog name!💕 I’m just discovering how much I love energy bites. They are perfect when you need something bite size and sweet. Plus they’re so good for us!! I’m already in the kitchen working on my next bite combo. Thanks so much for the compliments!